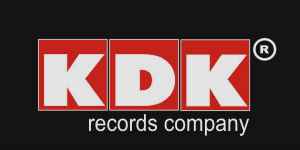 KDK Records Company (earlier named as KDK Records) actively develops and exists in the musical market already more than 10 years and for today is one of the largest manufacturers and suppliers of audiovisual production in all Russia. The company gives wide assortment of musical production of various styles and directions in a format of CD, DVD, MP3 and on audiocassettes. 13 Лет KDK, Dance Planet Ltd., Gunsta Records, KDK Content, Prestige MP3 Collection, Progressive Фактор, Лаборатория Звука, ООО "Ли.Муз.Ин", ООО "Нота"
ООО "Компания КДК - Рекордс"
Балтийский Клан И Тусовка "Питерский Ландшафт"